If you are looking up information on the Fuel Pump Relay (FPR) then chances are that you have a crank no-start condition and are attempting to diagnose the culprit. The FPR could indeed be the culprit so in an effort to help your diagnosis I'm bringing you the information the best way I know how... in a video. This video will help all 1993-2002 Mazda 626 owners. I go over the 4th and 5th gen FPR. 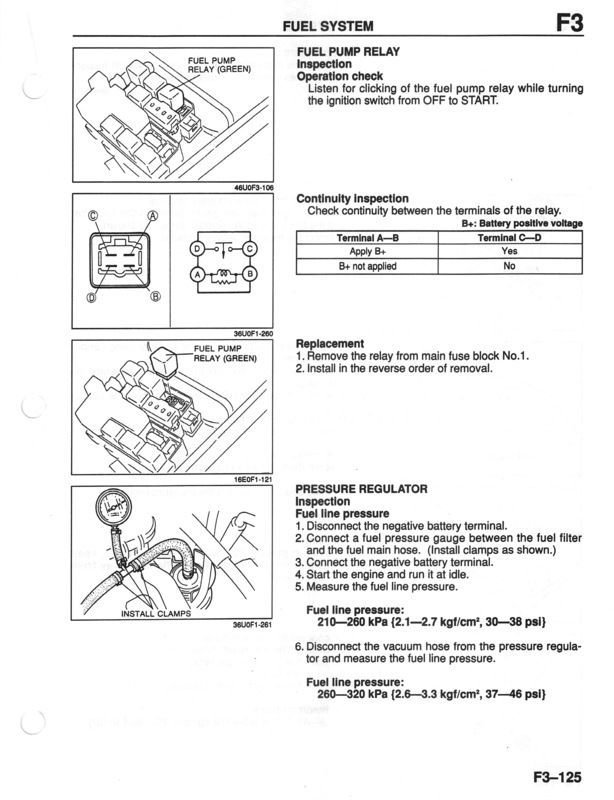 The fuel pump relay is what provides power to the fuel pump. No power to the fuel pump means no fuel to the injectors. If you confirm that your fuel pump relay is good and you still have no fuel to your injectors or no fuel pressure then you will want to look at the fuel pump itself or the wiring between the fuel pump and the fuel pump relay as the culprit.